Welcome Gregory, and thank you for being with us today! Why don’t you start by telling our readers a bit about your journey to becoming a published author? It’s been a long road, to be sure. I wrote the first draft of this novel fifteen years ago, and have been writing novels since I was fourteen years old. There’s been a lot of frustration and a lot of rejection along the way, but I’m able to look back and see how much my craft as a writer has improved over the years. Ultimately, it’s taken a combination of hard work and persistence to get to this point. What is Love of Finished Years about? It is the story of Elsa, a young German immigrant who comes to America in the years leading up to World War I. As a teenager, she works in the sweatshops of Lower Manhattan, learning English in her scant spare hours. A chance job with a Long Island elite family opens up her world. Invited in up to a point, she precariously crosses the social divide, which puts all she had worked for in jeopardy. The latter part of the story follows the events of the war. It’s also a love story. What motivated you to the write about the early 1900s era and World War I? I have always been fascinated by World War I and the world at that time. The war was truly one of the most impactful events of modern history, and yet it is under-treated in both literature and cinema, especially when compared with World War II. This made me curious from an early age, and the more I learned about it, the more tragically fascinating I found it to be. From that curiosity, arose the character of Elsa, and then the story of her life. As I delved further into the events of that era, it amazed me how many parallels there were with our own time. We tend to forget how controversial the United States’ entry into World War I was, and how little many of the people, including the soldiers, understood of what was going on. There are other parallels. This novel is about an immigrant family, from a country—Germany—which was considered hostile to the United States. Their experience in the 1910s foreshadows the experience of many immigrants in America today. How extensive was your research for Love of Finished Years? Looking back, it was extensive, but I didn’t think of it that way because I had so much fun with it. There are two parts of the research that goes into historical fiction. The first thing that you, as an author, must do, is to immerse yourself in the setting. You must become so familiar with the time period, and with the historical and cultural context in which your characters live. Because of my prior fascination with this era, that part was relatively easy for me when I wrote this book. Then comes the second part, which for me made up much of the work of multiple rewrites of the novel. That is where you have to research the specific details, both for accuracy, and to add color to the narrative. I visited the tenement Museum in New York City, and walked the streets of the Lower East Side where Elsa lived. I read extensive accounts from soldiers who experienced the first world war. It is the details that really build the world for the story that hopefully will immerse the reader and make them feel like they were there. Love of Finished Years was just released January 2018 and it’s already won a couple of awards! Tell us about these awards and what they mean to you as a new fiction author? Winning the grand prize of the Chanticleer Reviews International Writing Competition really led directly to being able to get the book published. Before that, I had received only a constant string of rejection letters. I feel so blessed to have this opportunity. On a personal level though, it meant even more to me. It is naturally disheartening to be rejected over and over again. Winning that award, while the book was still only a manuscript, felt validating to me as a writer, encouraging me to keep at it for as long as it would take. I hope to write stories and characters that will stick with my readers long after they read my books. I think the character of Elsa will be memorable. Her experiences speak to so many things that people are facing today, both as a young working woman, and as an immigrant to America. An inspiring character is the best gift I, as an author, can give to my readers. I always love to read a good novel. I especially love the early Twentieth Century American novelists, but I read a lot of contemporary fiction as well. I seek out novels with inspiring characters. Not surprisingly, I also love reading about history. Ernest Hemingway has a brilliant style of storytelling which I think is perfectly suited to today’s readership. His narratives are concise, there’s never a wasted word, yet it is full of descriptiveness, emotion and nuance. I study his craft. I have also learned so much from my father, Michael R. Phillips, a career novelist. Tell us a bit about your writing practice. Do you have a routine? Do you subscribe to the “write every day” philosophy? I wish I could write every day! However, with a demanding day job it isn’t always possible. But routine is vital to me. I do most of my best writing early in the morning before going to work. That is the time when my mind is most fresh. I believe that it is important to keep my routine, even if I’m not feeling especially inspired. Sometimes just sitting quietly and thinking about my project has its own value. In a busy life, it is so easy to slip out of that routine if I’m not diligent about it. One philosophy I do subscribe to is not to mix writing with editing. They are done with different sides of the brain. I love to dance tango. I love music. I love hiking in the beautiful mountains of Washington. And, of course, I love to read. What is the best advice you’ve ever received, about writing or about life in general? Walk a mile in someone else’s shoes. To emotionally put yourself in step with what others are going through in life leads to the kind of empathy that makes the world a better place. As a writer, this practice allows one to develop sympathetic and realistic characters, giving even the most flawed characters emotional depth and redeeming attributes. You really need to put yourself into the minds and circumstances of your characters, even the dark-spirited ones. For new writers, those trying to write their first novel: Be a storyteller. Don’t worry at first about the details, the so-called rules of writing, or whether you think it will be any good. Just tell a story and let it flow. Then for those who’ve gotten over the hump of writing a complete novel: hire a good editor. It’s the best investment you can make on yourself. Even if that book never gets published, the editorial feedback will be an invaluable lesson as you improve your craft and write your next novel. I have several more finished novels. And I started a brand new one last month. I’m not sure which will be the next one that gets published, but there are a lot more stories to come, so stay tuned! 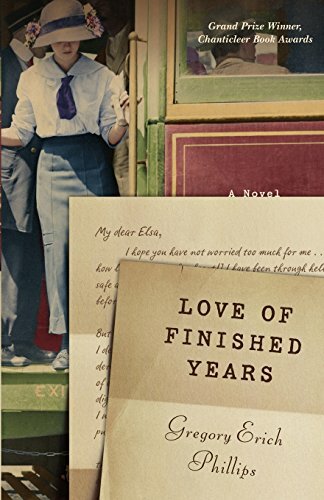 Where can readers connect with you on the web and social media to learn more about “Love of Finished Years” and your other works? 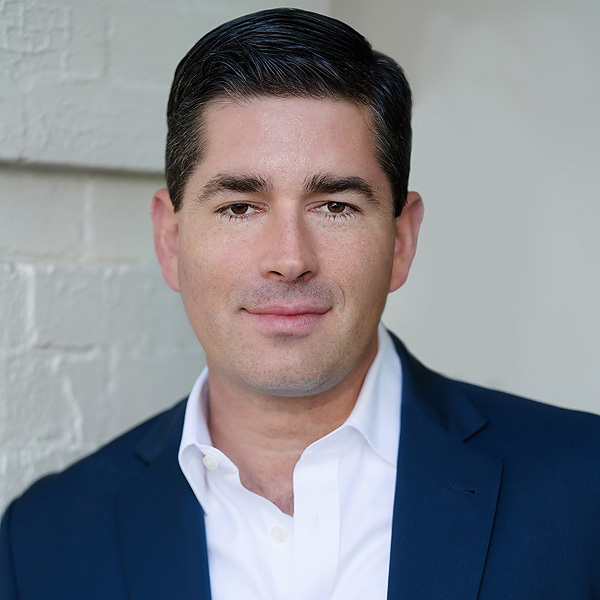 Please connect with me on Facebook, www.facebook.com/gregoryerichphillips and on Twitter. www.twitter.com/by_gep. My website is www.gregoryerichphillips.com. Do you have anything else you’d like to share with our readers? I hope you enjoy Love of Finished Years!